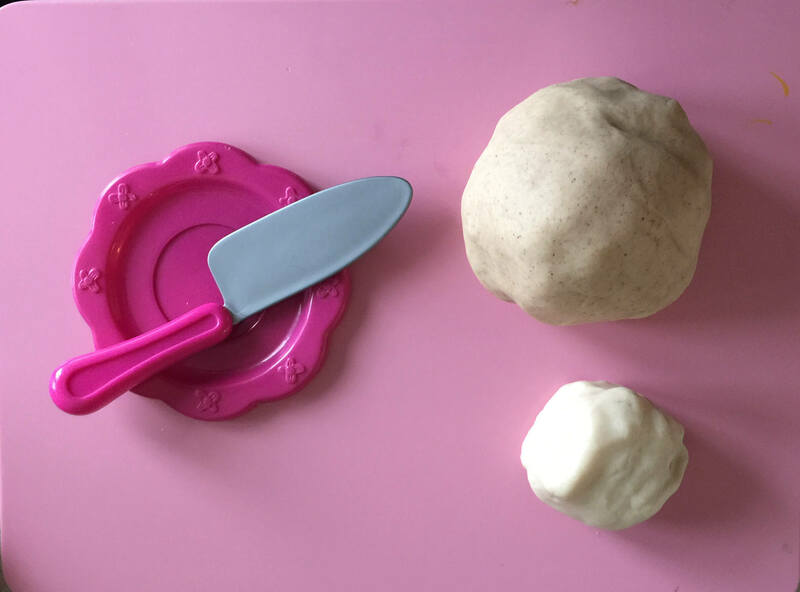 Home made play dough is so easy to make and I like the fact I know exactly what’s in it. 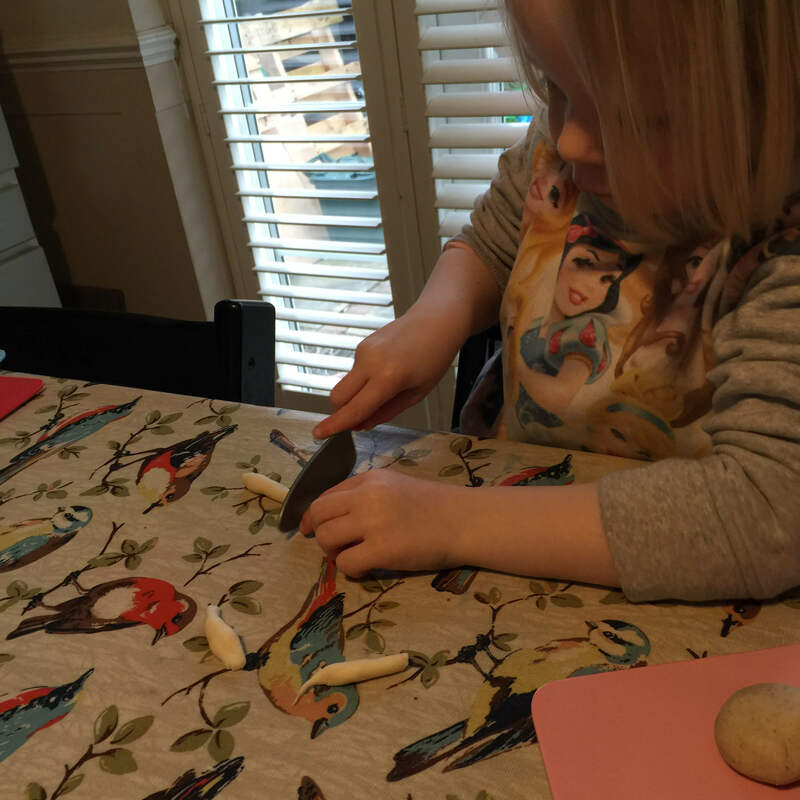 The other day I made some play dough for my children so they could make some play dough Hot Cross buns. Hot Cross buns are a traditional Easter treat (although they seem to be available in the shops earlier each year!). They are a spiced sweet bun made with currants and marked with a cross on the top. To make the play dough mix the dry ingredients with the vegetable oil. Gradually add the water until you have a stiff dough. Take off a small lump of play dough and place to one side (for the white crosses). Then add some mixed spice to give it some colour and an authentic Hot Cross bun smell. I toyed with the idea of adding currants but decided against it this time. 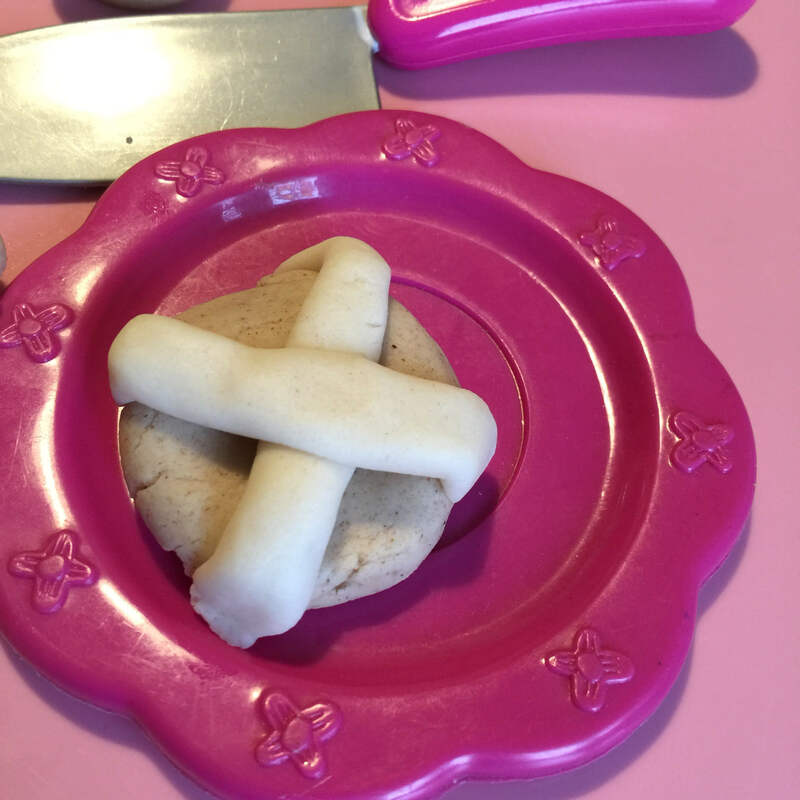 My 3 year old gathered some toy plates and a knife from her play kitchen and she sat down to make some play dough hot cross buns. She made small balls from the brown play dough then rolled out the white play dough to make the crosses which she placed on top. I think they look pretty realistic and they smell good too. I wonder what other seasonal sweet treats we could make with play dough? If you enjoyed this post I would love for you to vote for me in the Crafts category in the BiBs – just click on the badge below to visit the voting form! This is a great idea, I think you’d got to be very strong willed not to munch on that though, I can’t resist a good hot cross bun. What a great idea, looks like you both had fun will have to try this with my son. My kids love play dough! Great idea to add mixed spice to make it smell like hot cross buns! Thanks for sharing at the Easter Crafts and Games link up by Kidz Activities! I’ll be featuring this and sharing on Facebook/Pinterest! This is a great idea! 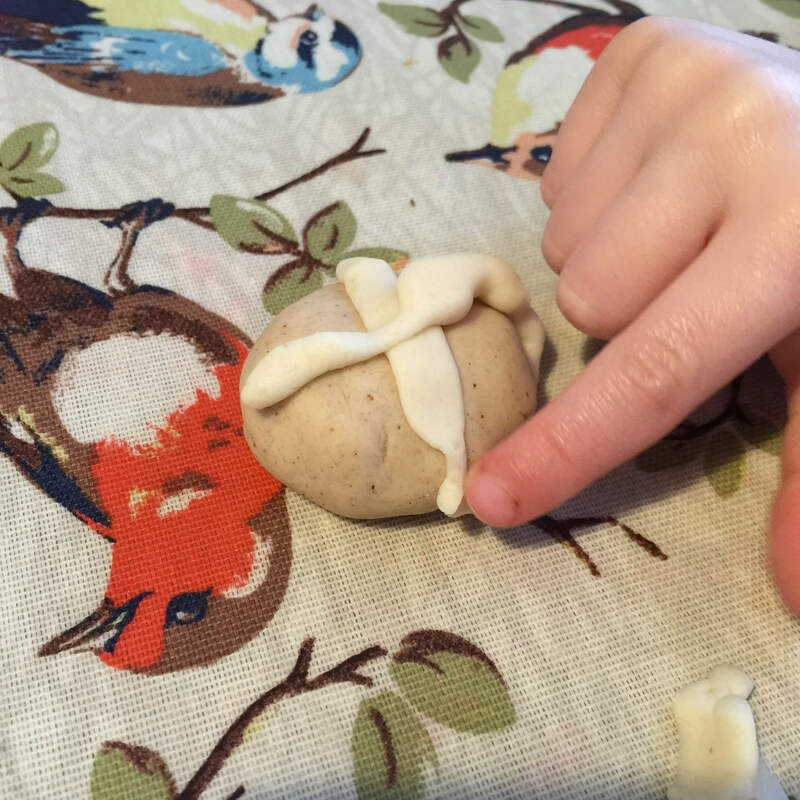 We always make our own play dough and have made gingerbread play dough before but never thought to make hot cross buns. Great Easter activity. That’s a super cute idea, and provides many teaching opportunities from it as well. Thanks for linking up to Tuesday Tutorials, I’ve pinned this on our group board. This is such a fun idea! I would have never thought of it!